Pre-requisites: Must have completed Pre-Aquatics and be at least 5 years old. 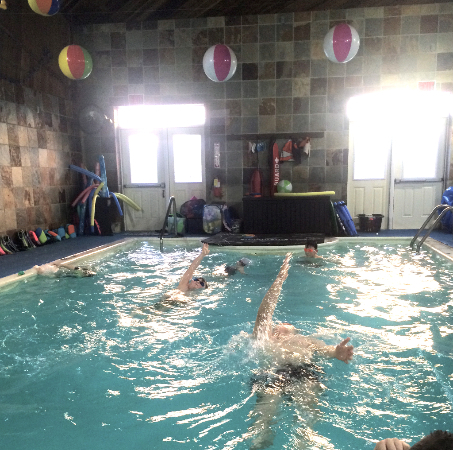 Level one swim focuses on the ability to move freely in the water without using flotation devices. To graduate from Pre-Aquatics and move into Level 1 swimmers must be capable of swimming on front and back a minimum of three body lengths with no assistance. Level one is an Introduction to Water Skills. Enter the water using the stairs, ladders, and side of pool safely. Exit the water using the stairs, ladders, and side of pool safely. Open eyes under the water and retrieve submerged objects. Back glide and recover to a vertical position.